Are You Insured? 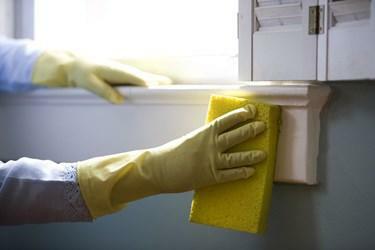 -- A home cleaning service needs to guarantee you’re protected should something unexpected happen. The company should pay all taxes and the employees should be covered by workman’s compensation. Do You Have Referrals? – The best way to know if a cleaning service is respected among homeowners is to get first-hand testimonials. Ask them for referrals of other clients and learn more about their experiences. Are Your Employees Trained? – A comprehensive cleaning requires employees who are trained in a systematic process for delivering a thoroughly satisfying experience. Take the time to learn how a cleaning service trains their employees. Are Your Employees Screened? – You’re allowing a stranger access to your home. You want the peace of mind knowing the person cleaning your property has been thoroughly screened by the hiring company. All Accent Maid Service personnel are screened before they are given assignments. Who Provides the Supplies? – Some cleaning services expect the homeowner to purchase the supplies used to clean a home. At Accent Maid Service, all employees are stocked with a full complement of cleaning supplies. The price for the service includes all materials. What Is Your Level of Experience? – Perhaps the most important factor is ensuring the company you contract to provide cleaning service has an adequate level of experience to deliver as promised. Accent Maid Service has more than 30 years of home cleaning experience in Indianapolis, Carmel, Westfield, Zionsville, Fishers, Lawrence, and other surrounding areas. Is it time to schedule your next cleaning? Click here to learn more about why Accent Maid Service should be your home cleaning choice in Indianapolis and surrounding areas. Or contact us today to get started.